Secret Operations is an eclectic record label launched in 1999 by the prolific Swedish drum and bass artist Sebastian Ahrenberg, widely known to the electronic music circles as Seba, but it was not until 2004 that the label picked up pace with a consistent release schedule. The label was named after the homonymous club nights hosted by Seba himself at a basement bar called Tuben (Tube) during the second half of the 90s in Stockholm, Sweden. To the time of writing, Secret Operations has released 19 singles, one compilation entitled Case One, which was the inaugural release of the label featuring various artists alongside Seba, as well as Seba’s second personal album entitled Identity that has been recently released to critical acclaim. 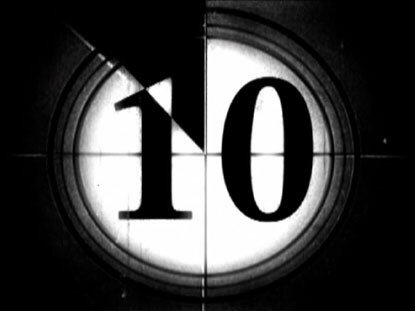 The label was established by Ahrenberg as a platform to release mainly his own material; the label’s catalogue is dominated actually with Seba’s own productions, as well as collaborations with the drumfunk all-star pioneer and fellow-producer Dev Pandya aka Paradox and vocalists Robert Manos and Kirsty Hawkshaw among others. Quoting Seba: “The label is still a platform for my own music and I also put music out when I think it is something exceptional, or when I have a track and no home for it.” (Excerpt from an interview for Kmag in 2010). 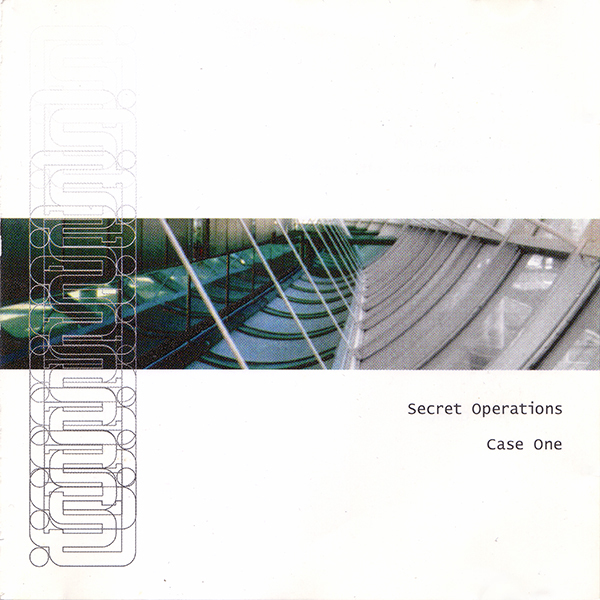 The inaugural release of Secret Operations was a compilation entitled Case One featuring well-established artists championing the atmospheric drum and bass sound including the likes of the Scottish duo Future Engineers of Temple Music and Partisan Recordings, Paradox under his Alaska alias, Seba himself under his Forme moniker, which was mainly used for recording on Svek Records, Lo-Tek known for the seminal joint release with Seba on Bukem’s Looking Good Records (So Long b/w Sonic Winds, LGR005, 1996), as well as lesser known, yet upcoming artists such as Neck, Boon and Agent Orange aka New Combination. A well-balanced compilation, introducing the sound Secret Operations was going to represent, with Polarity by Future Engineers and Modulator by Neck the tracks that stand out. After a 3-year hiatus, a limited edition release saw the light of day (Neck – Conclusion Of Music ep, SECOP 001, 2002). Secret Operations’ next four releases under a new and consistent catalogue numbering were a Seba affair, as Ahrenberg picked up exactly where he left off in terms of production, quality and innovation. Collaborations with former production partner Jesper Dahlbäck aka Lenk were the first and the third singles for the label (Seba & Lenk – Banett b/w Pieces, SECOPS001, 2002 and Captain Freak b/w Mandelkubb, SECOPS003, 2004), whereas the second and the fourth Secret Operations releases were Seba solo productions (Seba – Inside Your Mind b/w Hidden Reflections, SECOPS002 and Shapeshifter b/w External Reality, SECOPS004, 2005). The first turning point for Secret Operations takes place in 2005, when Ahrenberg joined forces with fellow-Scandinavian, drumfunk pioneer and long-time recording partner Dev Pandya aka Paradox. The synergy led to a series of recordings on various key labels and a string of three consecutive releases on Secret Operations (Remembrance b/w The Dribbler, SECOPS005, 2005 / Wakeup Call b/w No Words Can Describe It, SECOPS006, 2005 and Red Tears b/w Fire Like This, SECOPS007, 2006). Robert Manos is on vocal duties for the track Wakeup Call, which is his first appearance on Secret Operations, with much more to follow in the years to come. The collaborations with Paradox are characterized by sophisticated – sometimes to the point of obsession – drum programming improvisations, with ever-illustrious haunting pads dominating all three releases, showcasing both artists’ versatility, being always ahead of the game. Clearly influenced by the aforementioned synergy are the next two Secret Operations releases (Seba – Forever b/w Your Deepest Love, SECOPS008, 2006 and Seba – Warriors b/w Legion, SECOPS009, 2007). In 2008 there is the second turning point for Secret Operations. Seba’s long overdue personal album finally sees the light of day. The exquisite Return To Forever LP on the German label Combination Records is released to critical acclaim, receiving triumphant reviews from press and fans, coinciding with the first output of an artist other than Seba on Secret Operations. Resound, with productions for ASC’s Covert Operations imprint, Warm Communications and Orgone under his belt, has been responsible for the tenth 12” on Secret Operations (Resound – Second Thoughts b/w Rise Like The Sun, SECOPS010). Seba returned shortly after, with a collaboration with DJ Krazy (Seba & Krazy – Inkasso b/w Consciousness, SECOPS011, 2008) with whom he had already joint-recorded on Rohan’s Bassbin and Dev Pandya’s Paradox Music labels. The duo would soon release also the impeccable Finola on Marky’s Innerground Records. The Secret Operations catalogue continued with three solo releases by Seba (Day By Night b/w As Long As It Takes, SECOPS012, 2008 / 34 Alpha b/w Devotion, SECOPS013, 2009 and The Joy b/w Painted Skies, SECOPS014, 2010) introducing the prolific British singer and songwriter Kirsty Hawkshaw to the label’s roster. After Linder and Manos contributing vocals for Seba, Hawkshaw would be one of the leading vocalists for Seba’s future works. 2011 has been also a special year for Secret Operations since more artists joined the label’s collective. Seba and Method One of Covert Operations, 31 Records, Vibez and one of the main Auxiliary artists a couple of years later, are responsible for the 15th release (Heavy Traffic b/w Mr. Downstairs, SECOPS015, 2011), whereas Physics of Greg Packer’s Phuturistic Bluez, Fokuz and Midnight Sun joined forces with Seba for the next one (The Music b/w Before I Can Breathe, SECOPS016, 2011). Andy Skopes and Fizzy Beats’ head honcho Mr Joseph contributed the next Secret Operations release (Andy Skopes & Mr Joseph – Call To Arms b/w Trash Talk, SECOPS017, 2011). The last release of the year is credited to Robert Manos with Seba on production duties (Trouble b/w Madness, SECOPS018, 2011). 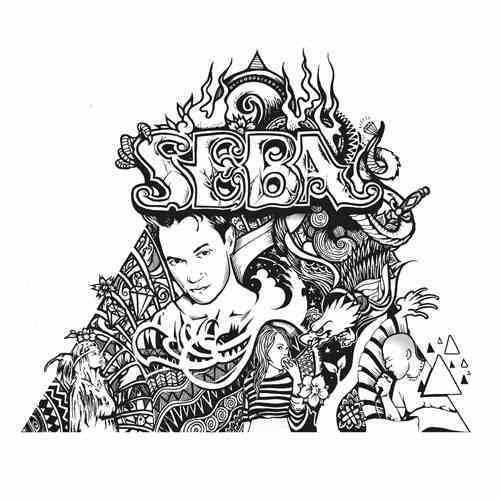 The next year Seba released the 19th and last single to the time of writing (Seba – Say You Love Me b/w Too Much Too Soon, SECOPS019, 2012), setting the pretext for his second long-awaited personal album. In 2013, Seba’s Identity LP is released to critical acclaim, showcasing Seba’s versatility and maturity as a producer, exploring also new musical paths and tempos, subliminally injecting to the listener his influences as an artist, throughout his two-decade music journey. Accommodating for every taste, from dark rollers (Balance Of Power) to smooth basslines enriched with haunting vocals (What’s Your Fantasy, Say You Love Me) to 4/4 structures (Midas), Identity is no doubt one of the best albums in 2013 so far. This entry was posted in Count To Ten and tagged Agent Orange, Alaska, Andy Skopes, artist, Boon, Case One, Dev Pandya, DJ Krazy, drum and bass, Forme, future engineers, Identity, Jesper Dahlbäck, Kirster Linder, Kirsty Hawkshaw, label, Lenk, Lo-Tek, Method One, Mr Joseph, music, Neck, Paradox, Physics, producer, record, Resound, Robert Manos, seba, Sebastian Ahrenberg, Secret Operations, Sweden, Tuben. Bookmark the permalink.